Micro Technologies - Making IT Simple! Lenovo is becoming the big name in computers and laptops. Lenovo is the not so well known name for the very well known IBM "Thinkpad" Technology. Of course, being recognized in a industry that is already full of MAC, HP and Dell to name a few, is NOT an easy thing. I think they are finally gaining momentum, which is great since they are making such great products. We have purchased a couple of Lenovo Towers and a couple of Lenovo Laptops ourselves and we LOVE them! Now, I am actually seeing Lenovo laptops in the hands of even picky computer buyers. Now, it looks like PC Magazine is giving them some nice recognition. In particular, Lenovo is winning kudos for their dual eight-core Xeon CPUs. Plus the Thinkstation D30 has the ability to add on more powerful NVIDIA Quadro cards. Lenovo's last dual-processor workstation Editors' Choice was the Lenovo ThinkStation C20, which also featured the amazing Xeon CPUs. The Lenovo ThinkStation D30 is now the new "King of the Hill", as the dual-processor workstation Editors' Choice. Per PC Magazine: "It wins with power, expandability, and a ruthless devotion to get your project done before any of your rivals can. " 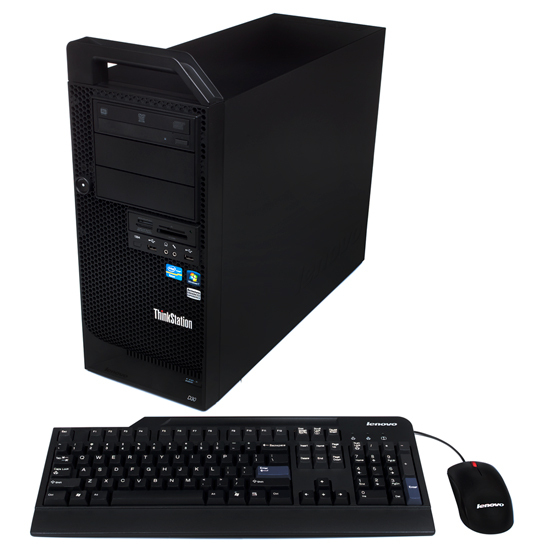 (Note: The D30 is a dual processor workstation but these models come with only 1 processor installed).